Running from Friday June 8th to Monday July 30th 2012, our Tour de France will be made up of 1 prologue & 1 epilogue plus 10 stages and will cover a total distance of approximately 1,732 miles. 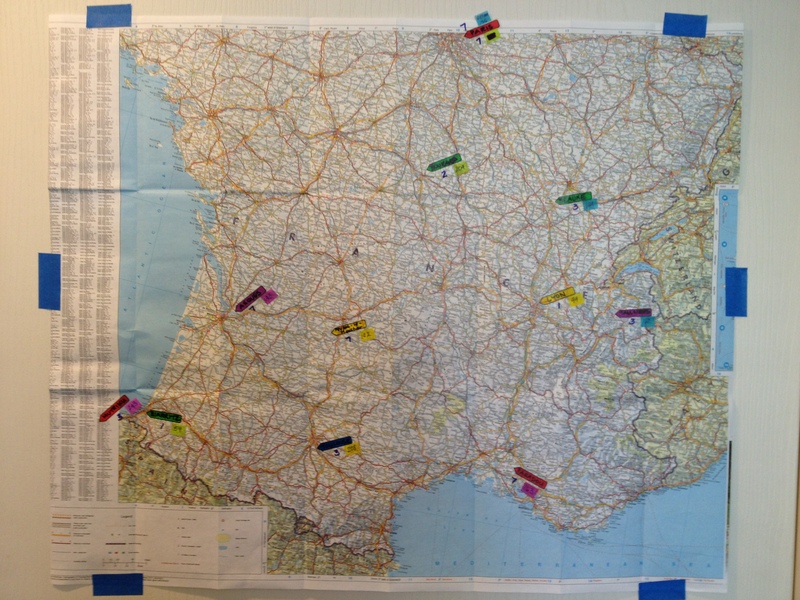 I mapped our tour using a large AAA map of France and those wonderful arrow post-its. Click on the “Travel Map” link below to view a detailed version of our trip.